Unique Two Buddha Antique Pendant. 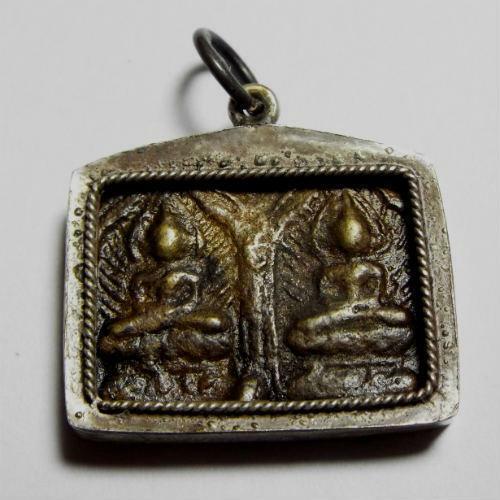 The Amulet/pendant Depicts Two Images Of An Enlightened Buddha As He Meditates On Spiritual Enlightenment. Buddha He Is Seated On A Throne Of Lotus Flowers (Symbol Of Purity) As The Rays Of Spiritual Enlightenment Emanate From All Around His Body. A Beautiful And Highly Respected Image Of Buddha. 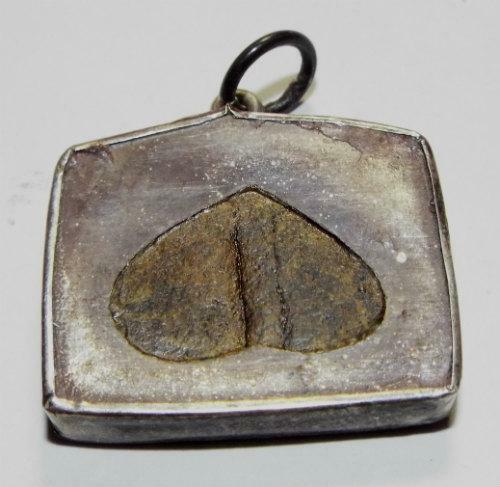 This Amulet Offers Peace, Wisdom And Protection From Evil Forces. 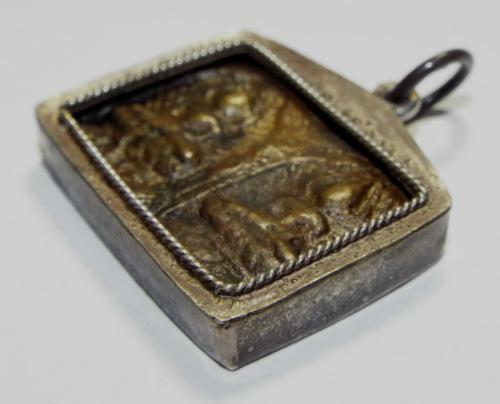 Origin: Thailand Material: Bronze Alloy In An Antique Silver Frame. Circa Early 1900's.